Poker is a famous card game that shares betting rules and hand rankings. This game differs in how cards are dealt, how hands are formed and how many rounds of betting are allowed. There are many online poker sites where people play poker without visiting the poker rooms. There is no stress or pressure on the player playing poker on the online poker sites. But for the new poker player, playing against a professional opponent in the poker room, suffers from lots of pressure and stress. It is always seen that in the poker tournament, the poker players have some kind of face gears on (sun glasses). Looking at them, the question may arouse in your mind that why do these players wear these glasses? Following are some reasons, why poker players wear sunglasses? Some players consider it as the strategy for game. Some wear glasses for imitating their favorite poker heroes. Your eyes can express your expressions. Your vibes can be read by the opponent and they may plan their moves accordingly. Players wear sunglasses to hide the eye expressions that can give hint to other players about their cards. Some players believe that they can strike more fear in the opponent with the blank stares of tinted glasses. Wearing the dark black shades and long beard covering half of the face can scare the opponent. Some people believe that wearing sunglasses gives them confident appearance, hiding the fear and eye expressions. The glasses on eyes can also help the player from hiding their intimidation against the possible tells and reads by the professionals. Wearing sun glasses and a low hat will make you almost invisible. This will help you in calming down, if you are playing your first tournament or playing the major events filled with hawk-eyed professionals. Whenever the player bluffs, his pupil may dilate or flit around the room. This can be hidden if you are wearing glasses. However, many players prefer to wear sunglasses while playing poker, there are some demerits of wearing glasses that should be considered. The light in the poker room is made dim (not bright) for creating ambiance. Player may misread the cards if he/she is wearing the dark shades. Wearing glasses may make the opponent to think that you are hesitant and lack in confidence. Your opponent may think that your are feared of professional opponents and hence you are hiding behind the glasses. Wearing sunglasses while playing poker depend on your interest. As now you know the merits and demerits of wearing sunglasses, you can decide on whether to wear glasses or not. 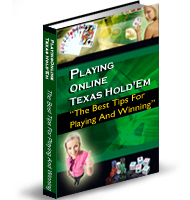 Jessy Justin is a great author who provides detailed information about Poker Sites. There are few useful topics which are explained by her in a very creative way. Such as why poker players wear sunglasses .